Patti Smith, often called the godmother of punk, is back to prove that she’s still one of the world’s most complex and relevant artists. It’s as though all of the time between her 1975 debut and today’s newest album just dissolved. If her first album, “Horses,” is considered her greatest in a long line of great records, then this new release, “Banga,” almost seems as though it could have been the second record in a two record set 37 years ago. “Horses,” which has been described as “Rimbaud with amps,” is ranked as the 44th greatest album of all time by “Rolling Stone” magazine, putting the new album in rarified company. “Banga,” Smith’s first new material since 2004’s “Trampin’,” was recorded at New York’s Electric Lady studios with many of the same personnel as were involved in “Horses,“ including the ever-present guitarist and drummer, Lenny Kay, and Jay Dee Daugherty, and Television’s Tom Verlaine. But they didn’t produce some warmed over rehash. Rather, they give us an album as challenging and original as any that came before it, and one that may well rival “Horses” as the best of Patti’s career. Her songs are dreams woven into elegiac spells incanted to dead artists, singers, and actresses, as well as French poets, Russian film directors, New World explorers, the victims of last year’s Japanese earthquake and tsunami, and more. She throws in a little lighthearted song about outlaw lovers, “April Fool,” for good measure, but it doesn’t seem cloying or disingenuous that she does so. There’s almost a sweetness in the song’s inclusion. Johnny Depp even gets a nod on the album. He and Patti have become good friends over the years, sharing a love of art, cinema, and music, and she honors this friendship in the song, “Nine,” written for his birthday. The 10-minute “Constantine’s Dream” is a passionate defence of her love of art. The collision of sound and language is exhilarating, though seemingly impenetrable. And the closing cover of “After The Gold Rush” turns Neil Young’s classic into an even wearier lament that gives us a quiet place to reflect on the eleven songs that just came before it. Throughout this masterwork, Smith is in exquisite voice, whether raging at the darkness, or expressing communal joy and profound melancholy. Over the years she has turned the performance art of her younger incarnation into the art of performance. Patti has learned well and she has the chops to prove it once again. 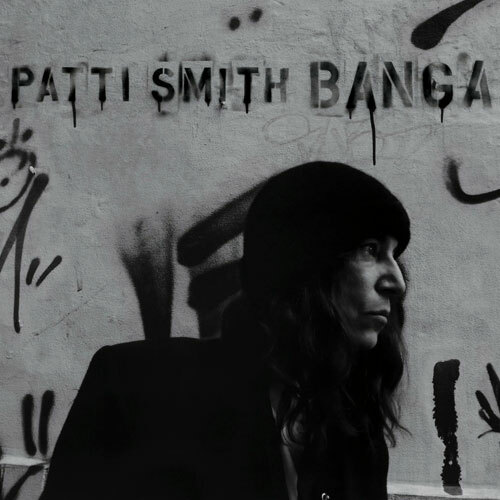 To reiterate, Banga is easily the best Patti Smith album since “Horses.” No one else makes rock records as rich, poetic, multi-faceted, and textured as this. No one else even knows how to try. The punk poetess, Rock and Roll Hall of Famer, in concert last year in Ann Arbor, Michigan. One of the best flat out rock and roll shows I’ve ever seen.